Snickers Clothing has workwed to build a new warmer sock and this is it forget cold feet. With these outstanding heavy wool socks, you can. High, thick, soft, reinforced and with a superior wool terry quality for extremely warm working comfort. I have tried these and they are good. 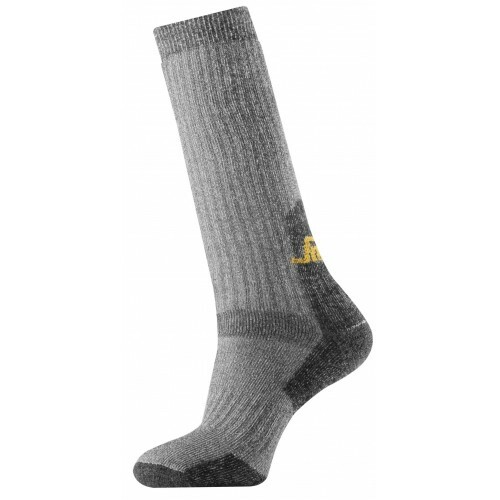 Material Used in the Snickers Socks: Thick and soft wool terry quality, 84% Merinoull, 12% Lycra, 4% Polyamid.